Chronic neuropathic pain is often associated with anxiety, depressive symptoms, and cognitive impairment with relevant impact on patients` health related quality of life. To investigate the influence of a pro-inflammatory phenotype on affective and cognitive behavior under neuropathic pain conditions, we assessed mice deficient of the B7 homolog 1 (B7-H1), a major inhibitor of inflammatory response. 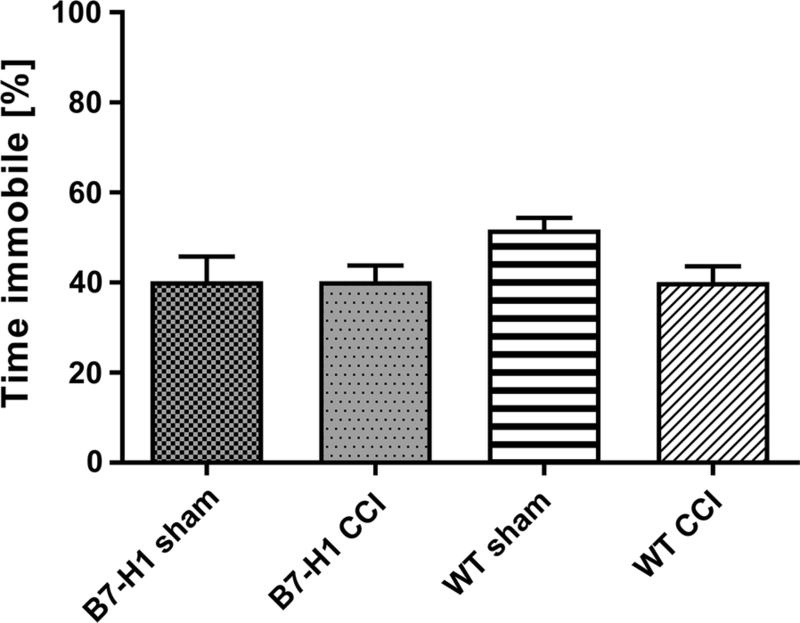 Adult B7-H1 ko mice and wildtype littermates (WT) received a chronic constriction injury (CCI) of the sciatic nerve, and we assessed mechanical and thermal sensitivity at selected time points. Both genotypes developed mechanical (p < 0.001) and heat hypersensitivity (p < 0.01) 7, 14, and 20 days after surgery. We performed three tests for anxiety-like behavior: the light–dark box, the elevated plus maze, and the open field. As supported by the results of these tests for anxiety-like behavior, no relevant differences were found between genotypes after CCI. Depression-like behavior was assessed using the forced swim test. Also, CCI had no effect on depression like behavior. For cognitive behavior, we applied the Morris water maze for spatial learning and memory and the novel object recognition test for object recognition, long-, and short-term memory. Learning and memory did not differ in B7-H1 ko and WT mice after CCI. Our study reveals that the impact of B7-H1 on affective-, depression-like- and learning-behavior, and memory performance might play a subordinate role in mice after nerve lesion. Chronic neuropathic pain, caused by lesions or diseases of the somatosensory nervous system , is often associated with anxiety and depressive symptoms  and considerably impacts on patients` health related quality of life . Neuro-immune interactions contribute to the development and maintenance of neuropathic pain . An imbalance between pro- and anti-inflammatory systems seems pathophysiologically relevant . Pro-inflammatory cytokines and other inflammatory mediators are also modifiers of mood and cognition, leading to depressive symptoms and memory deficits in patients and respective behavior in animal models [6, 7]. One relevant candidate among immune mediators is B7 homolog 1 (B7-H1; synonyms: PD-L1, CD274), a type 1 transmembrane protein and a member of the B7/CD28 family [8, 9]. B7-H1 is expressed on non-lymphoid tissue, on activated macrophages, and on dendritic cells and is one of the two ligands of the programmed-death receptor-1 (PD-1) . The interaction of B7-H1 with its receptor inhibits T cell proliferation and cytokine production . Using the chronic constriction injury (CCI), we showed that B7-H1 deficiency leads to an excessive pro-inflammatory response and sustained and enhanced pain behavior after nerve injury , whereas no differences were observed between genotypes in pain behavior after spared nerve injury (SNI) . Additionally, a recent study identified B7-H1 as an endogenous pain inhibitor in a neuropathic and bone cancer pain model . Here we set out to investigate affective behavior, learning performance, and memory of B7-H1 ko and wildtype (WT) littermates under neuropathic pain conditions. Using CCI we hypothesized that B7-H1 ko mice develop more anxiety-like behavior and cognitive deficits after nerve lesion compared to WT mice based on their pro-inflammatory phenotype. All experiments were approved by the Ethics Committee for Animal Research of the Bavarian State authorities (Regierung von Unterfranken, #3/12). Mice were housed in the animal facilities of the University of Würzburg (Department of Neurology; Center for Experimental Molecular Medicine) with food and water access ad libitum. Animal use and care were in accordance with the institutional guidelines. We investigated 119 male mice at the age of 8–12 weeks. B7-H1 ko mice were generated by L. Chen, Baltimore, USA  and inbred WT littermates of C57Bl/6J background served as controls. Mice were housed in a reversed light–dark cycle (light cycle: 7 pm–7 am; dark cycle: 7 am–7 pm). An experienced investigator blinded to the genotype performed all behavioral tests. Mice were assessed during their active phase under red light. Tests were performed in a black box to avoid interference with other mice and the investigator. The experimental algorithms are shown in Fig. 1a–c. All tests were video recorded for off-line analysis (see below). Behavioral tests were performed as described previously . For obtaining baseline values and allowing the animals to adapt to the testing apparatus, all animals were investigated twice before surgery. 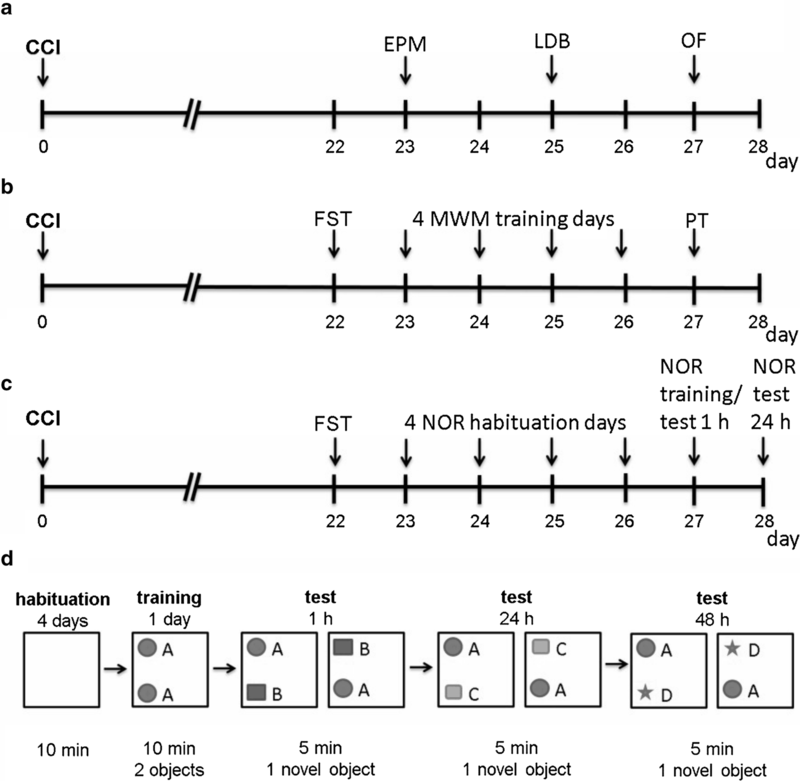 After chronic constriction injury (CCI, see below), behavioral tests were performed at defined time points (7, 14, and 21 days, n ≥ 7 mice/genotype). The paw withdrawal thresholds upon mechanical stimulation were investigated using the up-and-down-method for the von-Frey test . Mice were placed in plexi glass cages on a wire mesh. After 45 min adaption, the plantar surface of the hind paws was touched with a von-Frey filament starting at 0.69 g. If the mouse reacted with hind paw withdrawal, the next finer von-Frey filament was used. If the mouse did not react, the next thicker von-Frey filament was used. Each hind paw was tested six times. The 50% withdrawal threshold (i.e. force of the von Frey hair to which an animal reacts in 50% of the administrations) was calculated. The Hargreaves method applying a standard Ugo Basile Algesiometer (Comerio, Italy) was used to determine the sensitivity to heat stimuli . Mice were placed on a glass surface surrounded by a plexi glass box. After 45 min adaption, a radiant heat stimulus (25 IR) was applied to the plantar surface of the hind paw and the withdrawal latency was automatically recorded. A stimulus cut-off time of 16 s was observed to prevent tissue damage by heat. Each hind paw was consecutively tested three times. To assess the intra-individual variation in affective behavior, three different tests were applied for anxiety-like behavior: light–dark box (LDB) , elevated plus maze (EPM) , and open field (OF) . EPM and OF were additionally used to investigate exploratory behavior of the mice. Each mouse was tested once for 5 min in each apparatus. The LDB consisted of an illuminated (40 cm × 20.5 cm) and a dark compartment (40 cm × 19.5 cm). As a starting point, mice were placed in the light box. Mice could freely explore the apparatus and choose between the two inter-connected compartments. The entries into the light and dark box, and the percentage of time spent in the light and dark box were recorded. The EPM apparatus consisted of two opposite open arms (66.5 cm) and two closed arms (65.5 cm), separated by a junction area. Mice were individually placed in the middle of the apparatus, facing an open arm. The entries into open and closed arms, and the total time spent in open and closed arms were determined. The OF (40 cm × 40 cm) consisted of two areas: the center zone (20 cm × 20 cm) and the surrounding area. Mice were placed individually in the middle of the center zone; entries into the center zone and the distance and the time travelled in the center zone were recorded. For exploratory behavior, we additionally determined the total distance travelled in the open field apparatus. For depression-like behavior we performed the forced-swim test (FST) . Mice were placed in a glass cylinder filled with water (diameter of cylinder: 11.5 cm; water height: 12.5 cm; water temperature: 20 °C ± 2 °C). Within a six min testing phase, time spent immobile during five min of observation was determined. For the investigation of learning behavior and memory we performed the Morris water maze test (MWM) . Mice were investigated in a cylindrical plastic pool (diameter: 118.5 cm), filled with opaque water (temperature: 20 °C ± 2 °C) just covering the platform (diameter: 8 cm). The pool was divided into four quadrants and the platform was placed in the middle of one quadrant (target quadrant). 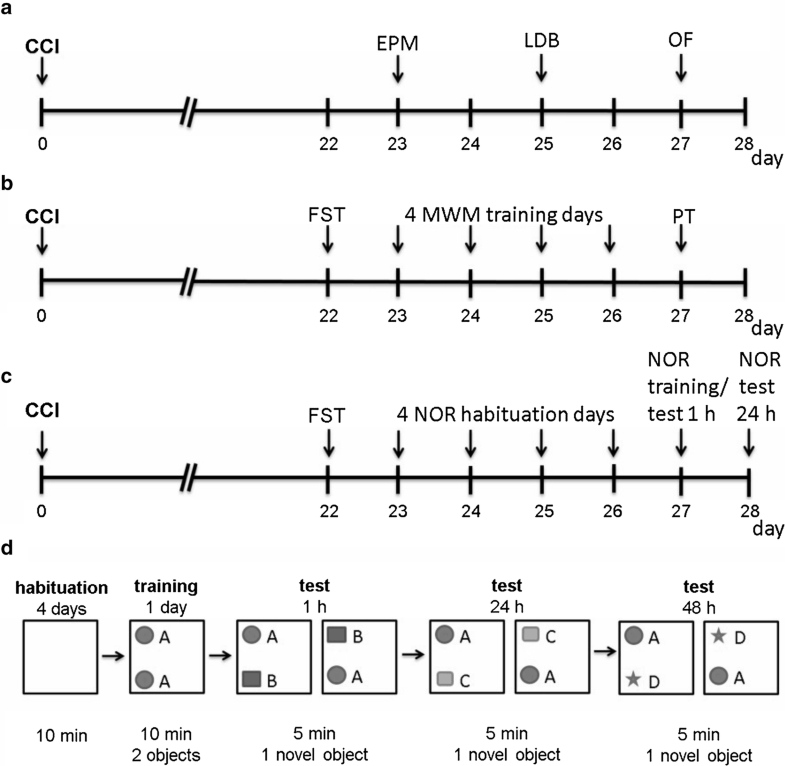 Mice had six trails daily with different starting points on four consecutive training days. The time mice needed to reach the platform was measured and daily average time for every group was calculated. If the mice were not able to find the platform within 60 s they were placed on the platform for 15 s for orientation in the pool. Additionally, we determined the total distance travelled and the average speed. For memory performance, the MWM probe trial (PT) was performed on the fifth day, during which the platform was removed. A new starting point on the opposite side of the target quadrant was chosen. The total distance travelled, the average speed, the distance travelled in the target quadrant, and the time mice spent in the target quadrant were measured during a 30 s observation period. As a further test for cognition, we performed the novel object recognition (NOR) test, which considers the differences in the exploration time of novel and familiar objects . For habituation to the apparatus, mice were placed into the open field arena without objects for 10 min on four consecutive days. On the following training day, mice were familiarized with two identical objects in the open field arena for 10 min. In the test phase one object was identical to the training object and one was novel. During the training and the test phase objects were located in opposite and symmetrical corners. The location of the familiar and the novel object was counterbalanced. Mice underwent two different test phases (Fig. 1d); 1 h after training as a test for short-term memory, and 24 h after training for long-term memory . To determine the locomotor activity, we measured the total distance, and the average speed mice travelled during the training and the two tests. We investigated the time mice explored familiar (TF) and novel objects (TN) during the test phases, and calculated the recognition index: TN/(TN + TF) . Exploration of an object was defined as orientation of the animals nose at a distance of < 2 cm to the object. Sitting on the object was not recorded as exploration. Naïve mice were anesthetized with intraperitoneal barbiturate (Narcoren®, 50 mg/kg body weight) injections. CCI or a sham surgery was performed as described earlier  with slight modifications . Skin was incised and the sciatic nerve was exposed by a blunt dissection through the biceps femoris muscle. Three loosely tied ligatures (7-0 prolene), with a distance of 1 mm between each ligature were placed around the sciatic nerve proximal to the trifurcation. Incisions were closed with muscle and skin sutures. In sham surgery, the sciatic nerve was exposed, but not ligated. After surgery, mice were kept at 37 °C until they regained consciousness. CCI, inducing thermal hyperalgesia and mechanical allodynia, was used as an established method for neuropathic pain . Behavioral experiments were conducted 22–29 days after surgery. At the end of the experiments, mice were euthanized by decapitation in deep isoflurane anesthesia (5% isoflurane via a vaporizer). Recorded videos were analyzed using the ANY-maze video tracking software (system version: 4.99 m, Stoelting, USA). For statistical analysis and graph design SPSS IBM software version 24 was employed (Ehningen, Germany). We applied the non-parametric Mann–Whitney U test, since data were not normally distributed in the Kolmogorov–Smirnov test. The Bonferroni-Holm procedure was applied to correct for multiple comparisons as appropriate. Data are illustrated as bar graphs (GraphPad Prism, software version 5.03, San Diego, CA, USA), displaying the mean with standard error of the mean (SEM). Data were stratified for treatment groups (naïve, sham, and CCI). P values < 0.05 were considered statistically significant. Mechanical withdrawal thresholds did not differ at baseline. After CCI, B7-H1 ko and WT mice developed mechanical hypersensitivity 7, 14, and 20 days without differences between genotypes (p < 0.001 each, Fig. 2a). No difference was detected in heat withdrawal latencies between genotypes at baseline, and both genotypes developed heat hypersensitivity after CCI (p < 0.01, Fig. 2b). In the LDB, B7-H1 ko and WT mice did not differ in the number of entries into the dark box, entries into the light box, and in the time mice spent in the light or dark box (Fig. 3). In the EPM, entries into the open arms and entries in the closed arms did not differ between genotypes and surgeries (Fig. 4b). No differences were found for both genotypes in time spent in the closed and open arms (Fig. 4c, d). In the OF, as a further test for anxiety-like behavior, time spent in the center zone did not differ between genotypes or surgery groups (Fig. 5a). After CCI, B7-H1 ko travelled longer distances in the center zone compared to WT mice (p < 0.05 each, Fig. 5b). Only WT mice were affected by CCI and travelled less in the center zone after surgery compared to WT mice after sham surgery (p < 0.05, Fig. 5b). No differences were found between genotypes after CCI. The exploratory behavior, as measured by the total distance travelled in the open field, did not differ between genotypes and surgeries (Fig. 5d). 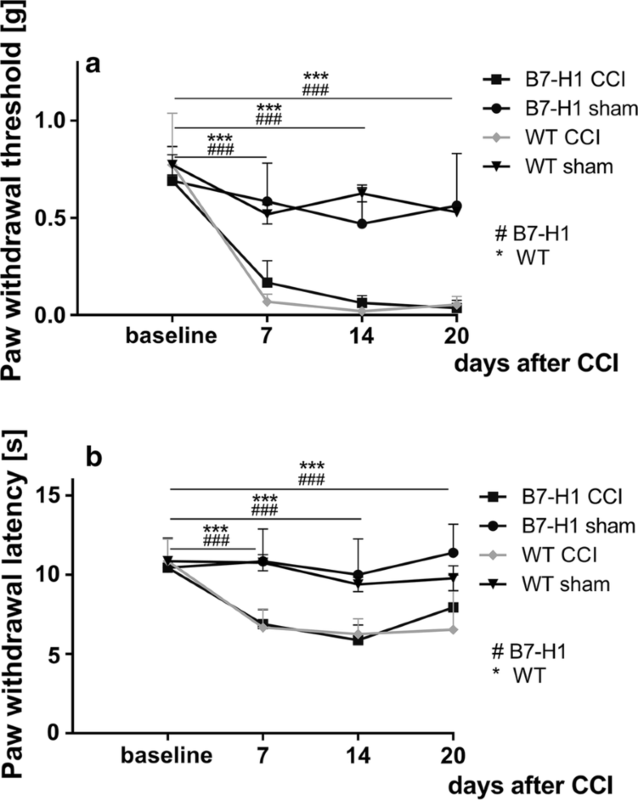 In the FST, B7-H1 ko and WT mice did not show any hints for depression-like behavior after CCI (Fig. 6). Time mice spent to reach the hidden platform in the MWM was similar in both genotypes and did not change after surgery. Also, the slope of the learning curves (i.e. decrease in test duration over time) did not differ between genotypes and sham or CCI surgery (Fig. 7a). No relevant differences were found in the total distance and in the average speed mice swam in the MWM during the training days (Fig. 7b, c). The total distance travelled and the average speed did not differ between genotypes and surgeries (Fig. 8a, b). 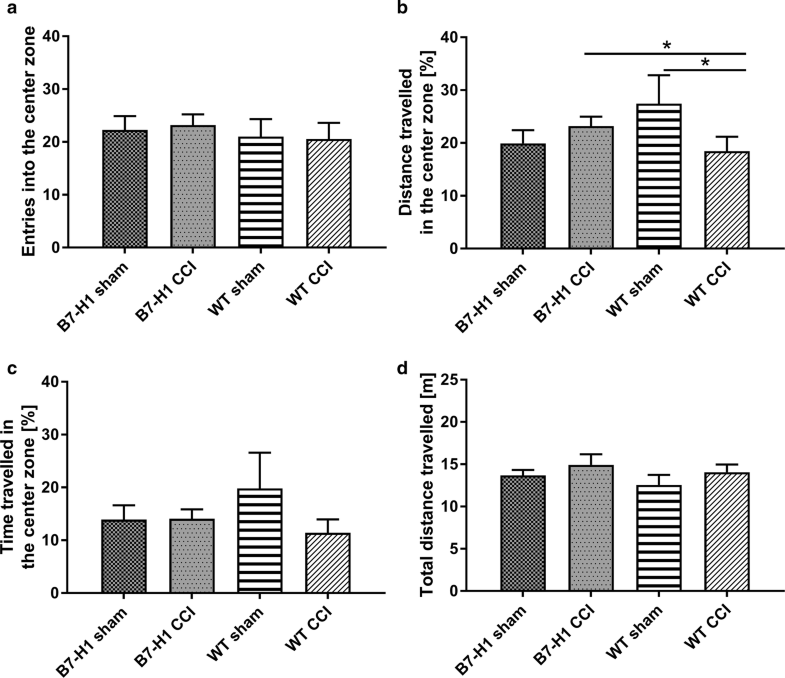 No differences were found in the distance travelled, and in the time mice spent in the target quadrant between B7-H1 and WT mice after sham, or CCI surgery (Fig. 8c, d). Both genotypes showed similar locomotor activity, as measured by the total distance travelled and the average speed during the training and the test phases (Fig. 9a, b). 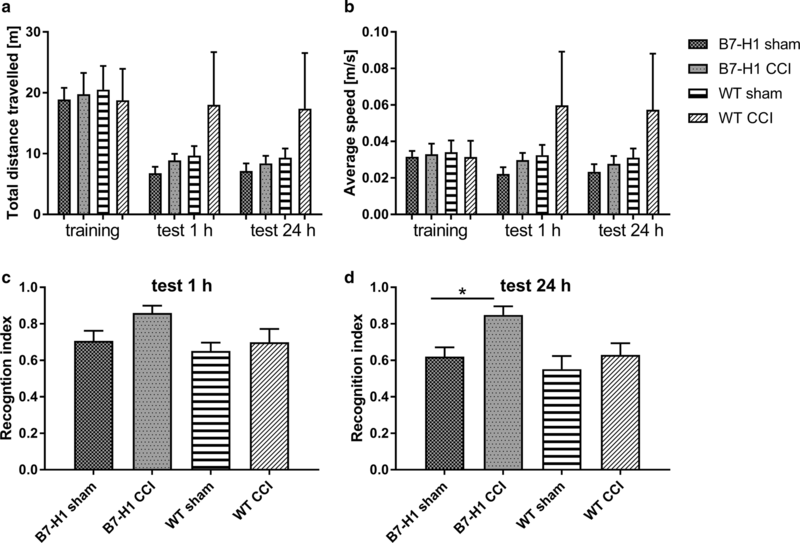 Even in the short-term memory test 1 h after the training, CCI and sham operated B7-H1 ko and WT mice did not differ (Fig. 9c). 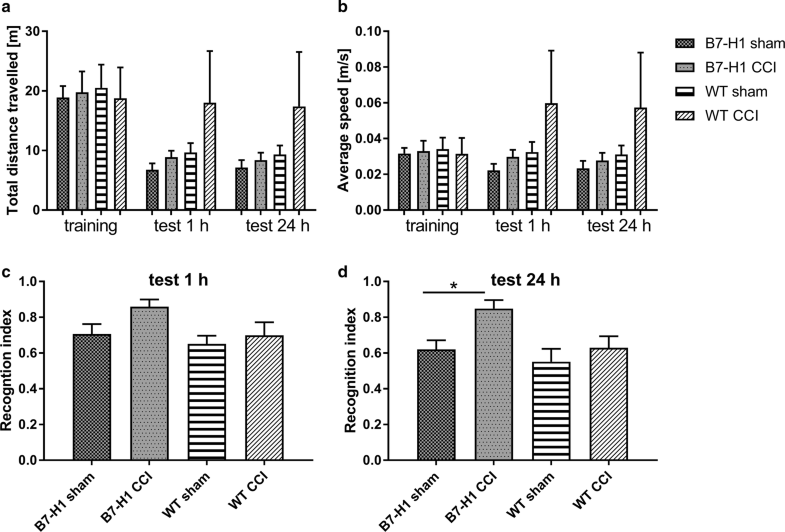 However, in the test for long-term memory (24 h after the training) B7-H1 ko mice displayed a higher recognition index compared to sham operated B7-H1 ko mice. WT mice did not show intergroup differences after CCI surgery compared to sham operated mice (Fig. 9d). We characterized the affective-, depression-like- and learning-behavior, and memory performance of B7-H1 ko mice after CCI to investigate if the pro-inflammatory phenotype of B7-H1 ko mice leads to altered anxiety-like behavior and cognitive impairment under neuropathic pain conditions. Our data give no hints for relevant differences between B7-H1 ko and WT mice, since both genotypes did not develop anxiety-, depression-like behavior or cognitive impairment after CCI. 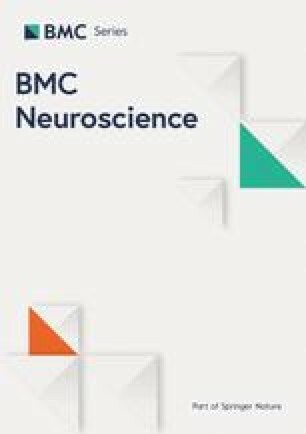 Thus, the pathophysiological influence of a pro-inflammatory phenotype on affective and cognitive behavior after nerve lesion seems subordinate in B7-H1 mice. Patients with chronic pain frequently report of anxiety, depression, or cognitive deficits [28, 29]. Similarly, hints for cognitive impairment were found in animal models of chronic pain [30, 31]. In several studies investigating rats, mostly an increase in anxiety and depression-like behavior was reported after nerve injury [32, 33]. In contrast, data obtained in mice are conflicting such as partial sciatic nerve ligation, spared nerve injury, and CCI did not alter results in the OF or EPM in mice [34, 35]. However, other studies assessing behavior at later time points after nerve lesion reported increased anxiety-like behavior also in mice [36, 37]. Also, age-related differences in anxiety-like behavior have previously been shown in 2–12 months old mice . This might explain the lack of intergroup differences in the LDB, OF, and EPM tests in our young mouse cohort. However, we found that B7-H1 ko mice travel longer distances in the center zone of the OF. But, since the intra-individual variability is high in tests for affective behavior, we applied three different paradigms to cover several facets and one single result should not be considered as sufficient to conclude anxiety-like behavior . Peripherally produced cytokines are involved in the development of pain and “sickness behavior” , which is characterized by fever, but also by behavioral changes of patients and sick animals such as lethargy, loss of appetite, and depressive symptoms . Several studies also reported that chronic neuroinflammation leads to cognitive deficits in animal models. 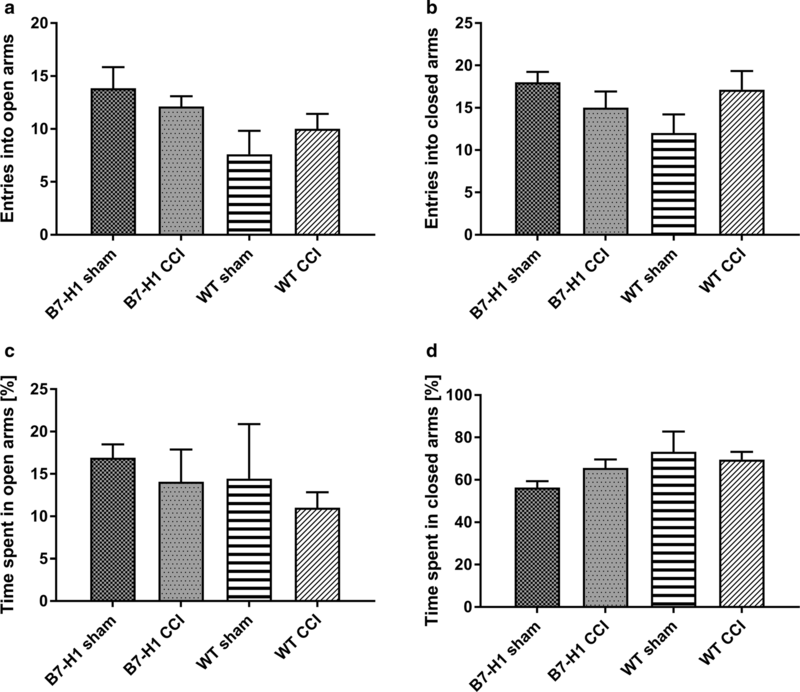 Intraperitoneal interleukin-1 beta (IL-1β) injection led to spatial learning impairment in mice, while treatment with anti-IL-1β antibodies normalized learning behavior . 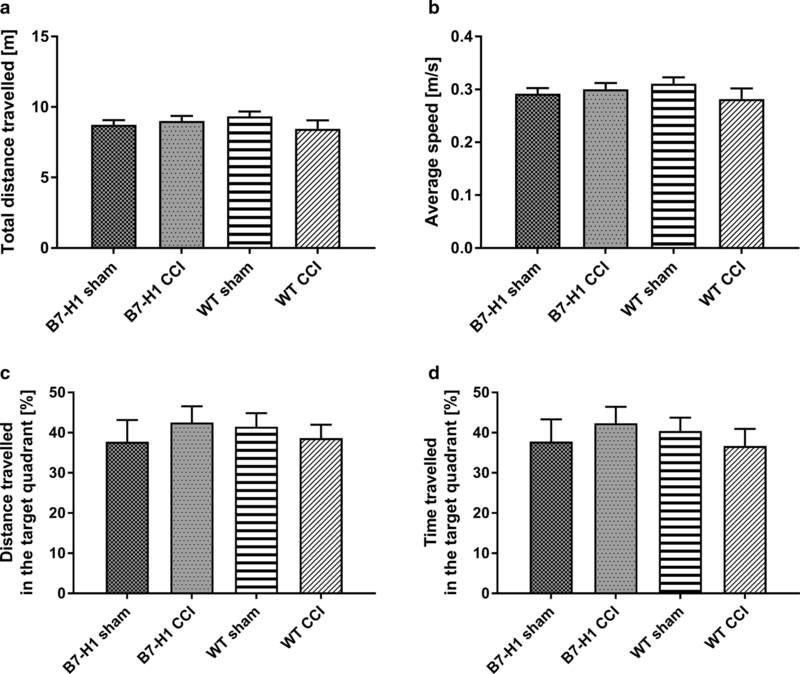 Belarbi and colleagues reversed chronic neuroinflammation induced cognitive impairment during novel place recognition and spatial learning in rats by treatment with a tumor necrosis factor protein synthesis inhibitor. Interestingly, chronic inflammation had no influence on novel object recognition . In a recent study IL-18 deficient mice showed a schizophrenia-like phenotype (higher impulsivity and aggression), but no relevant behavioral changes in tests for anxiety- (EPM) or depression-like behavior (FST) . Also, tumor necrosis factor ko mice did not show alterations in anxiety- and depression-related behavior in the EPM and FST . This is in line with our results that did not show anxiety, depression, or cognitive deficits in the majority of tests in B7-H1 ko mice despite their pro-inflammatory phenotype. One reason might be that PD-L2 as another PD-1 ligand compensates the lack of B7-H1, due to its overlapping expression pattern and similar function. PD-1 engagement by programmed death ligand 2 (PD-L2), and B7-H1 for example leads to a downregulation of TCR-CD28-stimulation of cytokine production . Our study has several limitations. We did not perform tests making use of aversive behavior like the place preference test or fear conditioning. Tests applied for affective behavior required an external stimulus and measure evoked behavior, which may have masked hints for spontaneous pain. Furthermore, we performed tests for affective and cognitive behavior during the first four weeks after pain induction, which may have been too early . 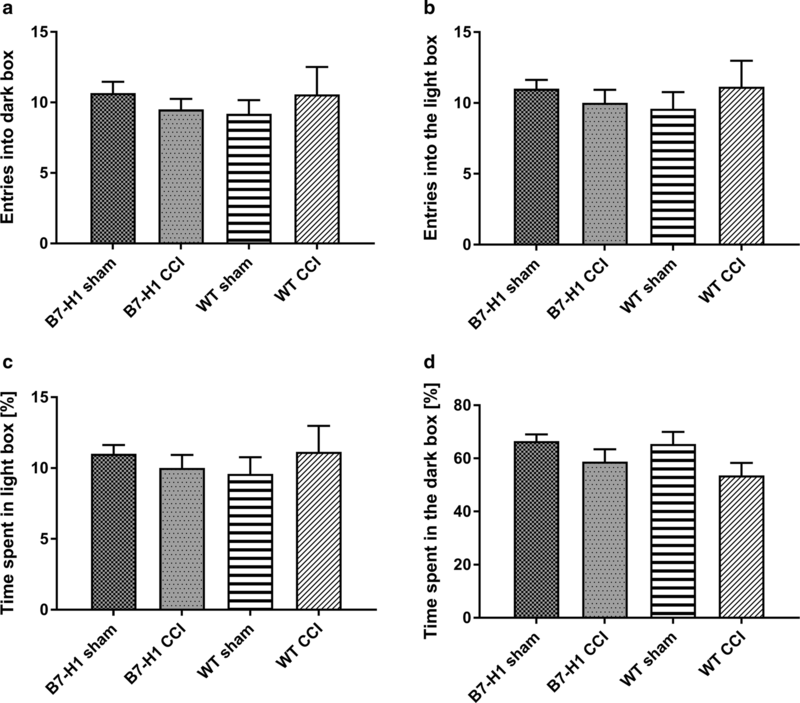 Despite these limitations, our study provides insights into affective and cognitive behavior of B7-H1 ko mice after CCI. We performed three different exploration-based assays ; each mouse task differed in environmental conditions, which allows elucidating affective behavior in distinct settings and at different time points. To assess complementary aspects of cognition, we applied two different tests, the Morris water maze for spatial learning and memory and the novel object recognition test for object recognition, long- and short-term memory [22, 46]. As previously shown for spared nerve injury , affective and cognitive behaviour in B7-H1 ko mice was also not influenced by CCI, a model in which recovery from the pain state is different between the genotypes. Our results indicate that the impact of B7-H1 on affective-, depression-like- and learning-behavior, and memory performance might be of minor relevance in mice after nerve lesion. FK: analysis and interpretation of data, drafting the manuscript. MBNC: acquisition of data, drafting the manuscript. AS: acquisition of data, revising the manuscript. CS: conception and design of the study, revising the manuscript. NÜ: conception and design of the study, revising the manuscript. All authors agreed to be accountable for all aspects of the work. All authors read and approved the final manuscript. We thank L. Biko and H. Brünner for technical assistance. All experiments were approved by the Bavarian State authorities (Regierung von Unterfranken, #3/12). The study was funded by intramural funds of the University of Würzburg. MBNC was supported by a stipend from the Research Training Group “Emotions”, RTG 1253/1 (German Research Foundation, DFG) of the Graduate School of the University of Würzburg, Germany. NÜ was supported by the German Research Foundation (Deutsche Forschungsgemeinschaft, DFG; UE171/5-1). The funding body had no influence on the design of the study; collection, analysis, and interpretation of data; and in writing the manuscript.